The colder and less concealed you're, the harder hunting is going to get. It doesn't matter if you're in a stand or the ground, if you’re not wearing the right outfit, animals could see or smell you. Weather conditions can completely change the circumstances and make survivability a top priority. Cold-resistant gear should also provide the utility that any other type of equipment does. Here’s were a good set of bibs comes into play. 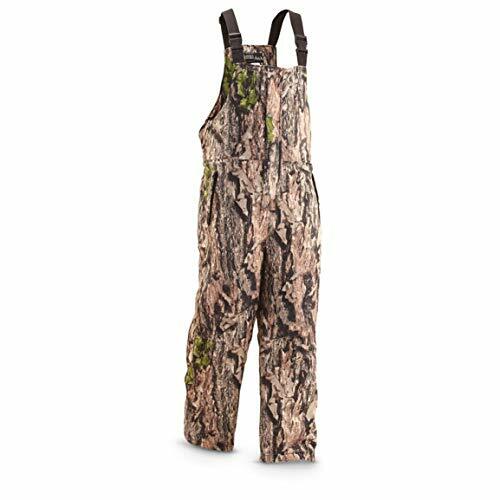 First of all, the design of this type of gear comes with comfort as one of its essential features, a requirement in hunting, as you may have to spend a considerable amount of time in a specific place. A good set of bibs adapts to the terrain and conditions, be it the ground or a stand. However, this product is created to shine when you're about to face the elements as it can help you deal with cold temperatures and keep you dry while traversing the land, as some options are wind and waterproof. It’s no secret that bibs limit your mobility a bit, which is a trade-off for the utility they bring to the table. You’ll have more pockets to carry equipment, and in some cases, the material makes you stealthier as the fabrics are selected to minimize sound, even when it comes in contact with other objects or the ground. Some models come with a scent controlling feature, which is essential to remain undetected by game animals and general wildlife. Deer have up to 297 million olfactory receptors while humans only have five million. The nose of a whitetail can even pick up on the washing product you use, and that’s a prime reason this is a desirable characteristic to have. 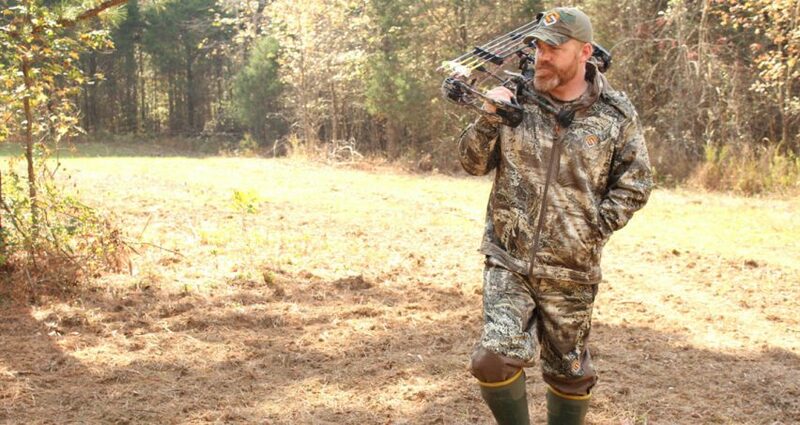 How Do Bibs Benefit Hunters? While wearing a bib offers a wide array of benefits, dealing with the harsh environment around you is probably the most important one. While more lightweight options like pants may provide more mobility, they won't offer you the protection a nice set of bibs will. Most game animals perceive color differently. It wasn’t until the mid 80’s that camo even became a thing in hunting gear. However, this doesn’t mean it is not necessary, as bears perceive color better than deer. Concealment not only applies to vision but to other factors like scent and the sound your clothes make as you hunt. Spending time outside in cold temperatures is not pleasant, but doing so while wet sounds even worse. Some bibs offer features like water resistance or breathable fabrics to avoid the accumulation of sweat. Besides, this type of product allows you to carry more equipment as they tend to have additional, bigger pockets than pants in general. Good quality bibs are incredibly durable, as they are sure to be put under a considerable amount of work and stress. It's wise and advisable to make a cost-effective choice when purchasing a pair. In general, the sturdiness of a good model depends on the manufacturer, the material, and the design. SItuations and conditions always vary, and for whatever Mother Nature throws your way, there’s a bib for that. Here is a list of the best one covering a variety of necessities and situations. 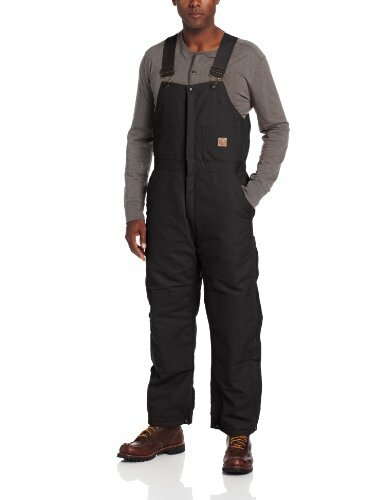 The Walls Men’s Legend Insulated Bib does an excellent job at combining the comfort and protection that cotton provides, with a layer of polyester fabric which has heat insulation properties to keep you warm in cold temperature situations. 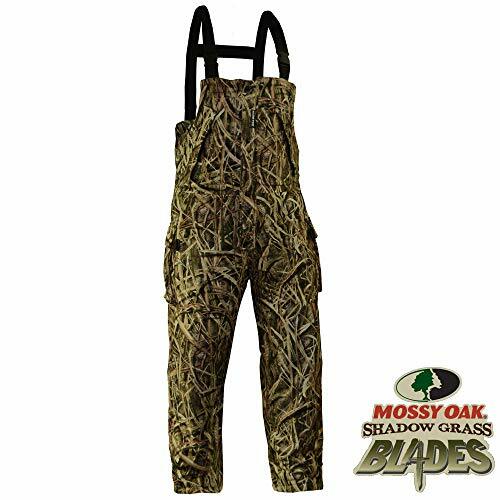 These can keep you warm even in 20F situations, which is great for people that favor hunting on a stand. Unlike polyester, many types of materials have failed the test when it comes to heat retention. The design, aside from being a comfortable cotton, also makes it durable, as it has a layer of nylon on each of the leg bottoms to prevent tearing that occurs outdoors from being continuously dragged around. A well-cared-for set of these bibs can last for years, even after constant heavy use. Although this type of product usually hinders mobility, these bibs come with an elastic fabric for both the back and the quick release straps, which provide users with a more natural movement. It also has two front pockets in case you want to keep some equipment close to you. As with other types of products, it is recommended to order your exact measurements instead of the usual one size larger, as people usually report that bibs tend to run large. You don’t want a product that is too loose, as that will allow cold air to get between the layers more easily. 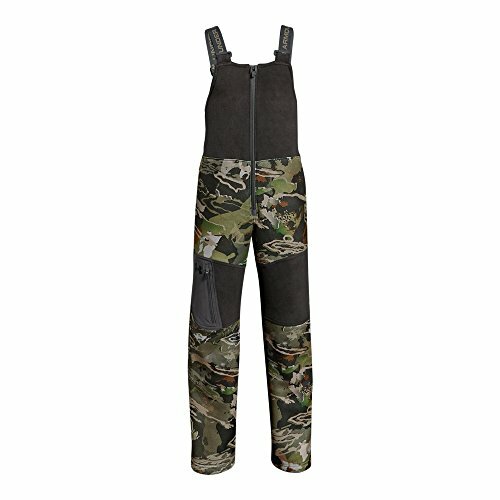 While this product offers significant comfort thanks to the materials used to design it, you don't have to sacrifice protection against the weather, which is one of the main reasons this model stands out as our overall best choice for hunting bibs. For users in numbing temperatures, heat retention tends to be the number one concern. That’s where this option shines, as it has top-tier clothing insulation. Though it is 100% cotton, which is excellent for both comfort and weather management, it has a taffeta fabric which works great in below freezing point environments. The bottom ends come with a layer of nylon to avoid tearing and the zippers go all the way to the hip, meaning it is easy to get on/off. It comes with reinforced knees, which are perfect should you need to kneel for a indeterminate amount of time. It has two reinforced hip pockets, but only the left one has a zipper. It also comes with two deep front pouches which are better to keep your gear secured, though a zipper or other kind of securing mechanism is always better than open pockets. You don’t have to worry about not having camo because, as stated before, game animals perceive color differently. Your scent and movement tend to be bigger concerns. A significant drawback is the durability. The bib, in general, has a solid build and design but the zippers can easily break with use. Thankfully, the company customer service is excellent and their return policy, should you have problems, is entirely free. Freezing temperatures don’t always mean humidity. This model is perfect for dry cold seasons where insulation and heat retention are a necessity for hunters. Its pockets and reinforced knees give it great utility, although you need to be extra diligent about taking care of it. This model is both waterproof and breathable so you can stay dry both inside and out. This feature plays a bigger role than you may think as sweat generates odor, making it easier for animals to detect you. Good airflow is key in keeping you concealed in equipment without a scent control feature. Fleece is known for being soft and comfortable, and the way it is manufactured in this specific model helps to hinder any type of sound the fabric makes, which is essential when hunting. One of the most iconic features is the ability to turn the bibs into pants so you can have the best of both worlds, with a belt that goes around to secure them to your waist. So depending on the type of activity you want to perform, this product can be adapted to fit your style easily. It comes with a lot of carrying space, having a zipper pocket on the chest, waist open pockets on the sides, and cargo pockets with oversized D-rings. Sizing is generally accurate with most buyers reporting a good fit. It comes with zippers on each leg that zip both directions. The fabric is durable but requires a great deal of care for it to last in good condition. You may have to read the instructions a couple of times in order to properly wash them, which can be dull. We have discussed that animals see color in specific ways, but it does not mean camo is useless. In fact, while some game animals like deer tend to be colorblind towards certain colors, bears, for example, identify colors much better. Camo is sometimes necessary because you don’t want to look like a deer in front of a mountain lion. Provided you have the dedication to properly take care of this bib, then you have a solid option with great features that keep can keep you silent, invisible to most animals, and odorless. Under Armour is one of the biggest contenders when talking about athletic-related wear, and this model is an excellent option. The product comes with both waterproof and breathable materials to control sweating. On top of that, it also has an anti-scent system, so it's engineered to keep you undetected, at least when it comes to scent. With comfort and mobility in mind, this product comes reinforced in areas that may rest on the ground like the knees and buttocks, while the waterproof feature keeps you dry, making them perfect to use in snowy locations. Under Armour is a brand who's also notably known for its Cold Gear Infrared Technology, which keeps users warm. This feature consists of a thermo-conductive fabric that redistributes and maintains the body’s heat. This piece of equipment is no exception, so you can expect this model to perform well in cold conditions, though it is not as heavy-duty as other options specifically designed for extreme weather situations where survivability is a priority. It comes equipped with secure cargo pockets that are designed to keep your gear sitting in one place while you traverse the land. In terms of durability, this model excels just as well as other Under Armour products do. The only issue is, the zippers can start to degrade rather fast which can lead to a broken one. You can’t go wrong with an established brand like Under Armour when it comes to gear that is going to be put to the test. Along with its heat retention technology, comes a series of features, like its outstanding mobility, that makes this bib a solid choice. A problem that woman may face when looking for bibs is that most of these are designed for men, so traits like sizing are going to be difficult to match. This can lead to the model being too loose and therefore lose its weather protection capabilities. The ArticShield Women’s Performance fit Bib comes equipped for women and is measured to adapt and perform as any other product should on a woman. The model comes with the features that you expect on a top-tier bib, like water and wind resistance, which are essential to perform with high efficiency. They are quite useful in cold weather, as they’ll have you almost sweating at 25F, so be careful about the lower body layer of clothing that you choose. The material used in this model is a combination of different layers of fleece, suede, and polyester, each placed for a different purpose, ranging from comfort to heat insulation. This is what makes it such an excellent option to combat below freezing temperatures. In terms of storage space, this product doesn't run short, as it has plenty of it. Storage space starts with its slash-style pockets and is followed by an expandable cargo option. Unfortunately, the leg zippers don’t go all the way up the waist, but that doesn’t necessarily mean it is hard to take off. Sizing is crucial here as bibs are not intended to fit tightly, but are designed to leave a little bit of space for you to wear something else beneath them. If you're considering a small size, maybe you should reconsider the next size up. This model not only offers women a great and comfortable fit, but also better insulation and more water resistance than a lot of other notable models. Just remember to get it at least one size bigger. Even though new technologies are continually being integrated into different materials and fabrics to achieve heat retention and better protection, sometimes it is also good to stick to a more traditional, yet effective design. The Filson Men's Mackinaw Bibs are made 100% out of wool, which we humans have been using as a clothing material for thousands of years. The reason is simple: it is comfortable and keeps you warm. However, even though we are dealing with a commonly used material, you can expect the same capabilities and effectiveness of any other models as these are also water repellent. They’re prone to getting wet but can still retain their insulation properties. Storage can be a problem sometimes, and that’s why this product is fitted with an incredible amount of space, amounting to a total of nine pockets. It is designed to have a looser fit to accommodate for more layers of clothing. This product is designed for people that want a more simplistic, yet effective, model. Wool has incredible insulation properties that are capable of keeping you warm for long periods of time and aside from that the looser fit, lets you wear a thick layer of clothing underneath if necessary. Not a Lot of Storage Space. Water resistance is a staple of many models, yet that doesn’t mean you’ll stay completely dry as there are different levels to it. 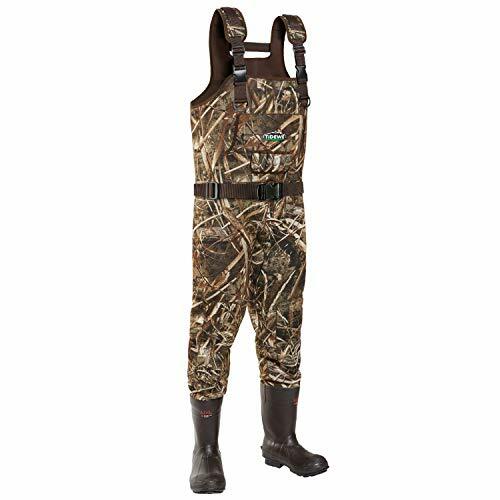 This bib, however, is 100% waterproof from chest to feet as it comes integrated with insulated rubber boots so it can also keep you warm from head to toe. You can enjoy both hunting and fishing without having to change outfits. Traversing the land with these boots is also quite easy as their pattern provides better grip, making it harder to slide. This bib can be acquired in two models, one with buckle suspenders and another one with a hook and slide type. It does run short when it comes to storage space as it only has one pocket in the front. A nice addition is the six shell loops under the pocket for a quicker reload. 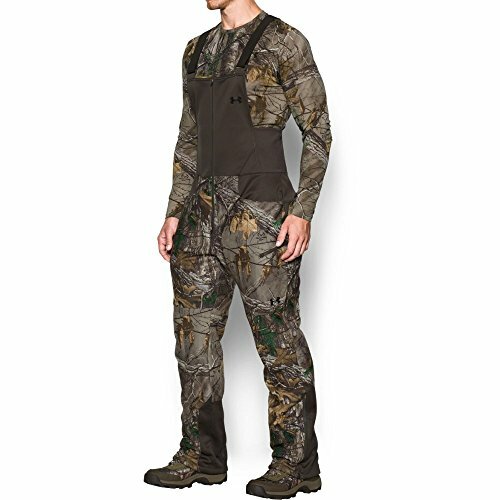 This bib is great for a person that needs to deal with harsh, humid conditions or for someone that aside from hunting enjoys some fishing and doesn't want to bring two outfits. While bibs are full of features and can make you more effective in many outdoor situations, they can be costly. This model is quite an affordable one, but that doesn’t mean it sacrifices quality over price as they are waterproof and its elastic band offers shoulder comfort and arm mobility. It has zippers at the bottom that run to the knees but sadly they’re made out of plastic which means they can freeze and break in colder temperatures. The fabric quality is decent and they can keep you warm provided the weather is not too extreme. Thankfully its two hand pockets have zip-closures, so your gear stays in one place. This choice is not only an option for those on a budget, but it also has quite an impressive insulation properties. The waterproof feature is a nice addition that makes these bibs perfect for humid yet cold environments. Minors also need bibs designed for them, as wearing an adult one would be too uncomfortable and in general, a counterproductive choice. Under Armour took care of this problem with the Boy’s Stealth Bib which is made 100% out of polyester, meaning it is quiet. It comes with features that even some adult options don’t have. This brand has its own insulation technology that retains human heat and redistributes it around the body. Another great feature is that the fabric is breathable and has fast-drying properties. The waist has an elastic band that allows for better mobility and control of the upper body. On top of the properties, the design has scent control capabilities that allow for better concealment. It has the same features as the adult version of the same model but a design necessary for a young person. Sadly, just as the other version, it requires some extensive care to ensure durability. With this option young people have the same features of the top-tier models while enjoying the benefits of a proper fit without large sizes they have to wait to “grow into”. Cold weather comes in different types and sometimes the gear you use may not adapt to situations that the elements present. These types of circumstances are where the SITKA Gear Fanatic Bib comes into action. It has an insulated core that works as an anti-heat loss system, and it is entirely windproof for the bone-chilling cold that freezing, humid winds present. Part of the thermal retention that this model has comes from its reinforced seat made from compression-resistant foam which keeps you warm where it matters the most. It has finger warmers on the side that can also be used to store non-vital equipment. The outer layer of this model is designed so that it is quiet both when taking it on/off or while you move around the terrain. 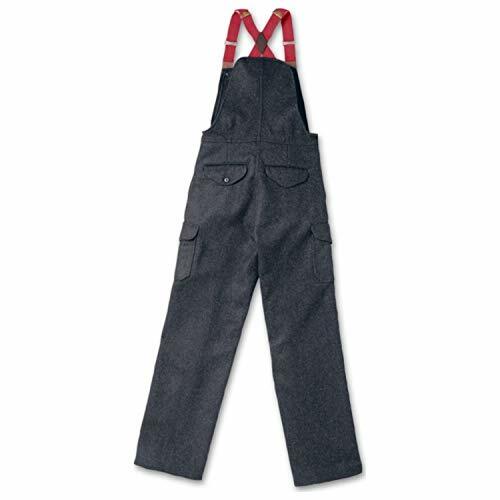 The suspenders are adjustable so you can avoid interference with your upper body mobility. If freezing is a concern, then worry no more. This model can keep you so warm, its only drawback is that outside of extreme conditions it can be too hot to wear and that says a lot about its insulation properties. 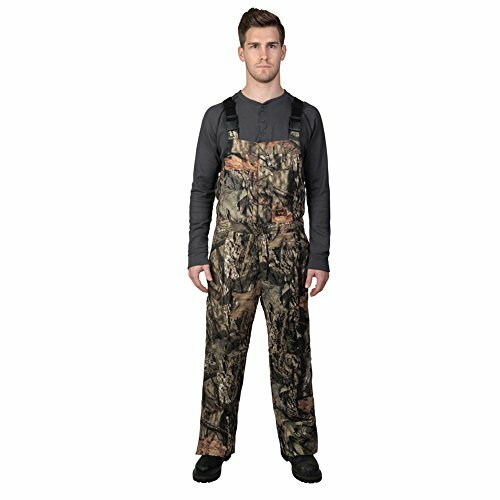 What Do You Wear Under Hunting Bibs? Depending on the weather, your options can vary. Bibs themselves limit movement, so in general, it is best to use a clothing option that lets you move more freely. Many people prefer to use loose clothing like sweatpants which are, for the most part, made out of breathable materials. This means you won’t sweat as much and can offer a great deal of mobility. 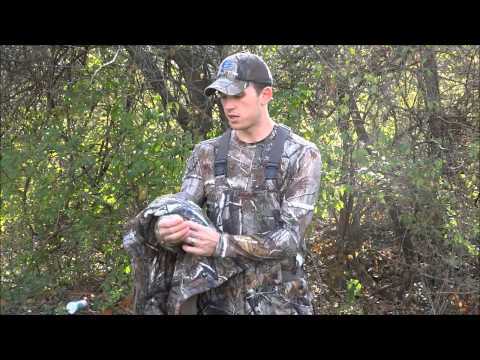 What is the Best Way to Care For Hunting Bibs? What many people don’t realize is that the products you use to care for your gear may make you more visible to different animals. The way some products work is by coating your clothes with a layer of reflective material that makes them slightly “shine” to the human eye. However, to deer, for example, these cleaning products look very bright. This means that if you don’t properly care for your equipment, you may look like the human torch for some game animals. Bibs, in general, are more than just protective gear. They offer so many properties and utility that not using one while hunting in cold or wet weather may be counterproductive. Their main duty is to keep you concealed, dry, and warm. 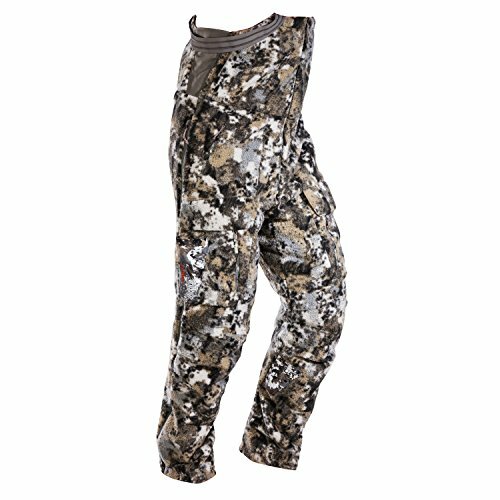 Pants may also provide some protection, but they lack the amount of utility in bibs, and at the end of the day, you should be looking for the highest effectiveness.